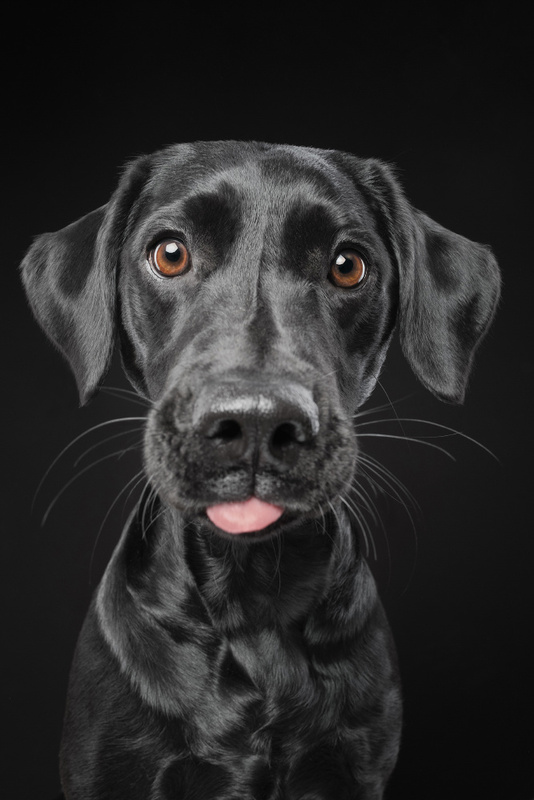 I just love shooting black dogs on black background. It's not difficult at all in the studio, with one light from the front, a reflector from under the chin and two striplights from the sides to produce rim lights. But also outdoors you can get this effect by putting a black dog in front of an open door leading to a darkened room inside, while the dog sits outdoors in available light (preferably on a light overcast day). I have been browsing your photos wondering how you did the studio lighting--it always looks flawless. This is done with one light from the front, carrying an octabox. And two striplights from the sides. Hope this helps. Thank you. I meant to say that I was pleased to see the description of your lighting set up that you posted on February 2, 2018, not expecting an additional response. But your response is very welcome!